Baird provides a variety of algorithmic strategies and direct market access for our clients. Offering configurable algorithms, fully tailored to each situation and alongside continual reliance on deep expertise and a dedicated analytics team, we provide the best execution possible in each trading situation..
With no proprietary trading desk or dark pool operations, we offer unbiased access to all major US trading destinations. 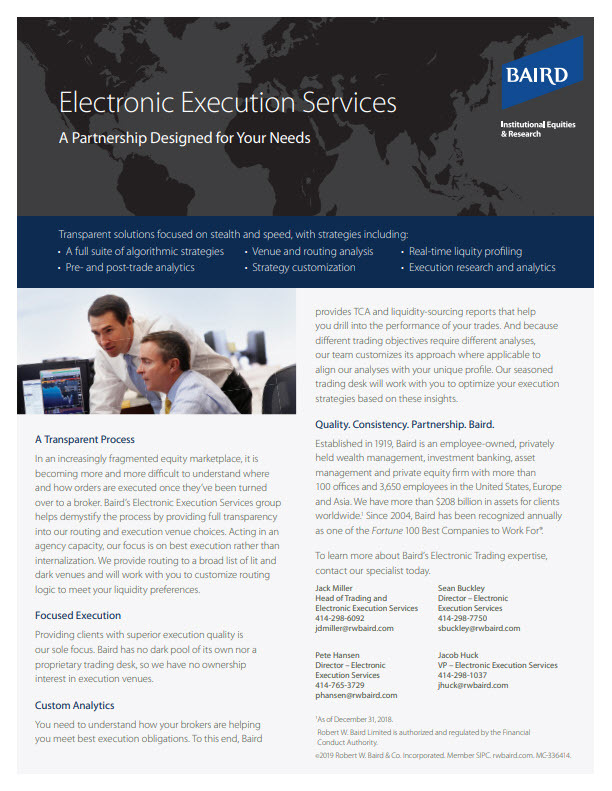 Baird's combination of technology and our expertise offers clients a unique approach, distinct from the one-size-fits-all electronic trading of other firms.